Before signing with Definitive Jux, this album was the one that got heads to finally start noticing Aesop Rock, you can see why he was brought on board to El-P's camp after this one. Features guest spots by Slug, Dose One, & Vast Aire (Cannibal Ox). 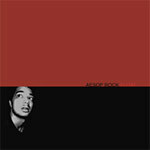 Originally released on Mush Records in 1999, now reissued on Aesop Rock's own label. All beats produced by Blockhead.